Situated in the county of Shropshire in western England, Telford is a new town within the unitary authority of Telford and Wrekin. With a population of 150,000, there is a good range of attractively priced housing in the area, particularly considering the value that can be found with detached family homes. At My Home Move Conveyancing we have been developing our knowledge and expertise of property markets like Telford since 2002, allowing us to bring our clients in the area an outstanding specialist, fixed fee conveyancing service. If you wish to buy or sell property in Telford, you’ll require the services of a lawyer to complete the legal work on your behalf. 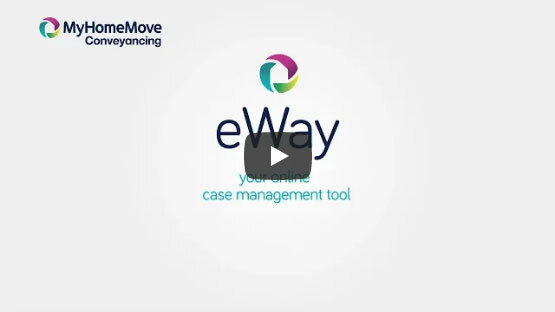 My Home Move Conveyancing offer award winning customer service, an innovative use of technology and intimate knowledge of local markets, making us the outstanding choice to help you as your Telford conveyancers. Our fixed fee conveyancing service comes free from hidden extra costs, meaning you can budget for exactly what you’re going to pay right from the start. If you don’t end up moving, you won’t have to pay us a thing in legal fees. We assign a dedicated conveyancer to each of our clients, providing you with a consistent point of contact, regular updates, online access to your case and a seven-day-a-week service. At My Home Move Conveyancing we are proud to supply our conveyancing services in Telford to customers across the local area, from the town centre to spots such as Hollinwood and Malinslee. The average house price in Shropshire is £165,279, while in Telford the overall average sale price during the past 12 months was slightly lower than this at £154,199. Detached and semi-detached properties sold in similarly high numbers, going for an average of £221,046 and £132,098 respectively. Terraces fetched £117,893 and flats £82,637. There was early settlement in the local area on the land close to the Weald Moors, while the Romans also had a presence in the region. Telford became a new town in 1963 - under its former guise of Dawley - and this saw major growth in the area, with most of the town’s infrastructure built in the late 60s and 70s. The 2000s saw huge redevelopment in the town centre, with Telford brought up to modern standards with an array of new shops, bars and cafes, complementing the pleasant countryside that can be found nearby. The presence of the M54 motorway that runs to the north of town means Telford is well connected, providing easy access to Birmingham and the M6. Trains to Birmingham take less than 40 minutes, while Stoke is around an hour away and London just over 2 hours. Birmingham Airport is approximately 40 miles from Telford. Families with children will be heartened by the presence of some excellent schools in the area, with primary options including St Peter’s CofE, Newdale Primary on Marlborough Way and St George’s CofE. Old Park’s Thomas Telford School, Madeley Academy and Wrockwardine Wood Arts College on New Road are among the choices at secondary level. Telford College of Arts and Technology and Telford New College provide further education in the area, while the town also plays host to the University of Wolverhampton Business School. Split into parishes. Figures are for Ketley parish, the closest to central Telford.